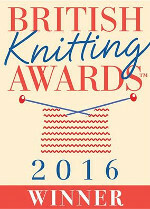 Ahhhhh Yarndale....fabulous, wonderful, highly anticipated, woolly new event! Here in AtticLand we are counting down the days (sixty six in case you were wondering) until Festival Launch with a mixture of extreme excitement and a weeny bit of new-kid nerves. The amazing Woolfest has just clocked up it's ninth successful year, and here we are, teetering on the edge of our first year. I have to say it's all going pretty well. We have closed the applications for 2013 now, and we are thrilled to announce that there will be over 150 exhibitors in this first year. Truthfully, Yarndale has turned into a far bigger event than we ever thought possible. When we tentatively sat around the table to discuss hiring the venue last Spring, it all seemed a little bit dreamlike. That dreamlike state has gradually been replaced by a great deal of dedicated team work, determination, energy and vision. We meet regularly to discuss and plan the festival and work our way through a lengthy agenda. There is a great deal to be done in order to ensure an event of this size runs smoothly. Sometimes we meet in a local pub and have three-hour meetings over morning coffee. Sometimes we meet at the Auction Mart when it's necessary to work on the nitty gritty of running a show this size. We have just finished working on the floor plan as our amazing graphic designer begins designing and compiling our brochure this week. There are also various meetings taking place this week to do with the security of the building, emergency evacuation plans and traffic management. Oh, and a meeting with the bus company to look at the vintage red London bus we are hiring to transport people from the town to the event. I've not talked a great deal about my involvement with Yarndale here on my blog, just trying to think now, I've forgotten what I've said actually?! Err....ok, think Lucy.....yes, there was the first introduction back in January, and then Bunting stuff during May. You would be forgiven for thinking that all I've been contributing is a bit of bunting and a sheep's head (with rosette). The Yarndale Team is made up of seven people in total, so I am officially 1/7th of the outfit. All of us have busy lives with jobs and/or children, but we've chosen to give our time and energy to help make Yarndale a success. I think we make up a strong team, with each person contributing different skills and experience to the mix. There are even two members who don’t actually know how to knit or crochet (shock, horror!) but vitally they contribute much needed financial, business and event management skills to the team. It's been interesting to see how the work load has naturally divided itself, which each person taking on the role that they feel most comfortable with. For me, that has meant two main jobs :: creative wool person and writer/internet person. The creative woolly part is where my heart lies and I've love love loved heading up plans for this aspect of the festival. We have been exceptionally fortunate in attracting the attention of the kind people at Stylecraft Yarns, who offered to send us some of the Stylecraft Special DK to use for our yarn bombing. The above balls are only half of what we've received, we are so grateful for their generosity. If you have been bobbing in here for a while, you will know that I love Stylecraft Special DK. For our yarn bomb projects, we were prepared to use any old cheap and cheerful acrylic yarn that we could lay our hands on, but thankfully, Stylecraft has saved us from the fate of working with the rubbish, squeaky, plasticky stuff. When I've had time, I've been playing around with a few flower ideas for the park yarn bomb project. Well, I AM involved in much of Yarndale's Creative Woolly Thinking you know, it's all part of my job. I can't really give you much info about these flowers as I (of course) neglected to write anything down, but I can tell you that the two flowers top left and bottom left were from a pattern in Simply Crochet magazine (issue 7). And the others came directly from my Creative Mind. This glorious vista is the interior of our local yarn shop, Purl&Jane Knitting Emporium. Jane very kindly agreed for us to use her shop as a temporary Bunting Delivery Depot, and this is providing us both with a surprising amount of fun. I call into her shop daily, after checking on Twitter to see how many parcels have arrived in that day so I know if I will be able to carry them or not. Sometimes I can carry them all in a (large) shopping bag, but in recent days I've been doing the bunting run with my shopping trolley full to the brim. Little B is, as ever, my trusty assistant. We carry the parcels down through the town to my studio where they are duly processed. This is a three part process. Part one is to empty the bag/trolley and make a pile, whilst ooohing and ahhhing at the distance each one has travelled. "Where is this one from, Mummy?" "Let me see.....ooooooh, it's from Australia!!!!!!!! It really is!!!! Awwwww, aren't people so kind"
The secondary part of the processing operation involves opening each parcel (Little B's job), making a note of who/where info (my job), counting the triangles (Little B's job, unless it goes past 13, in which case I need to assist), then carefully bagging the triangles in ziplock bags (a joint effort) and adding them to the pile (Little B's job). And the third part of the process will be the Photographic procedure and the compiling of a (very large) gallery of images. I've not got there yet. So far, Little B and I have processed 59 parcels and documented 667 triangles. There are still 50+ unopened parcels. It's a long job. BUT..........I am SO EXCITED about these triangles and the world wide creative spirit that they represent. Thank you, thank you, thank you, to all of you who have joined in with this project, it's going to be incredible when it all comes together in September. As I mentioned above, aside from the creative woolly stuff, I have also been repsonsible for much of the written content that represents Yarndale. Initially, this involved writing the text for the postcard and the website. I am also the "voice" behind the Yarndale blog, Yarndale on Facebook and Yarndale on Twitter. Boy, that last one has had me stumped. I find Tweeting an immense challenge as it is all so brief and my natural voice is very long winded. But I am trying hard to use this social media in a way that feels honest and fun, and importantly as a way of getting information out there for anyone who is interested. Ravelry is also great for this, and Yarndale now has a presence there too. More recently, I've been writing some formal editorial stuff for magazines, and this too has been a challenge. I can sit and roll out a blog post in my own "Lucy voice" with very little problem, but writing in a "magazine voice" is soooooo much harder! Oh, how I have struggled! Something that combines both Yarndale jobs of mine (the woolly stuff and the writing stuff), is pattern designing. As I mentioned earlier, we are compiling a really wonderful colour brochure for Yarndale which we are all rather excited about! It will contain a heap load of information about the festival and all the lovely exhibitors, but as an extra bonus we are also including some creative interviews (I think?!) and a small number of patterns. I started out with a rather ambitious idea to design a three-dimensional version of our patchwork sheep, kind of like a plump little stuffed sheep toy. I had loads of fun patch working the body together, and even making the cute little stumpy legs, but the head....oh the head did NOT work at all! I ended up having a huge hissy fit and threw the whole lot into the fruit bowl, where it remains. ....I still needed to come up with a pattern. Thankfully, just in the nick of time, this idea literally popped into my head as if from nowhere, around about 3am on Sunday morning. On Sunday afternoon, I was able to sneak away from the Little People, out into the back yard and start work on my new design. Designing something new is such an emotional process, even when it's something relatively small like this. There are highs (yaaaayy it's looking like the right shape, and I've actually remembered to write the pattern down!) and lows (ohhhh pooooop, it looks like a sad fish instead of a happy bird). But it is such a great, unbelievable feeling when you end up with something that doesn't need to be slung in the bin (or the fruit bowl). So....I made a brooch. Well I made two actually, just to test that my scribbled pattern notes did actually work out and my numbers did actually add up. .....and ta-dah! I've called it my "Tweetie Bird Brooch", and the pattern will be in the brochure, available to buy at Yarndale. And possibly (although we've not discussed this fully yet) on our website after the event, if there are any left. Gosh, this is a loooong blog post, 1806 words and counting. Perhaps you can tell how much I'm enjoying my own writing again after the pressure of formal writing this week, I feel like I could happily sit and write all night :o) Yipppeeeeeeeee for informal sentences and exclamation marks and words like yippppeeeeeeee that aren't in the dictionary!!!!! Anyhooooo.... just one more thing, and then I'll leave you in peace. Yarndale Workshops. We are thrilled about being able to offer these at Yarndale in our very first year, as for a good while we didn't think we would be able to manage anything so ambitious. The full programme of workshops is detailed on the website, but places are limited. So if you are coming along and think you might fancy a little bit of hands on creativity, do please book yourselves in. Right then my Lovelies.....I really do need to finish up now, I'm sorry if I've gone on a bit. Soy de argentina, y me gusta mucho tu blog. I've just realised the date and I have some bunting triangles I haven't sent yet. Is it too late or would you still like them? I love your blog - your photos are so colourful and inspiring!!!! I wish you all the best for Yarndale. friends of mine are planning to go but sadly I'm on holiday otherwise I would have been there. Such lovely work! I discovered your wonderful site thorugh "According to Matt" on Blogspot. He recently made a very nice bolster that he credited to a combination of two of your patterns. I'll be following now also, beautiful pictures on the recet jaunt also! Thank you for sharing. Oh my goodness, I have got to make myself some yarn animal jewelry immediately. Or maybe a headband? I can't decide. Anyway, yours are adorable, and the buttons are a brilliant touch that I'm surprised no one seems to have thought of before. Would you be willing to put a picture of these in the crochet section on Kollabora.com, the crafting and DIY community? Everyone there has a serious weakness for animal crafts. Wish I could come to Yarndale, but not sure if I'll be able to get over from the Irish west coast. I live in the US so won't be making it to Yarndale, but will follow along here. I wish you the best as you prep for your lovely event! Your little birdie brooches are adorable. I do hope the pattern will be posted on your page here for those of us who cannot attend Yarndale! Take good care and have fun! Mine are in the green plastic bag in the photo waiting to be opened.very exciting. I hope you see ths Lucy. I just had to hare this link with you in case you hadn't seen it. Reminded me of you and your Connie van. Wow!! I'm so glad everything is coming together for you with Yarndale. I wish I could come. Your little broach looks fantastic as well! I hope you continue to have a good time planning and chatting about Yarndale! Busy, busy, busy Lucy thankyou so much for your exciting and energetic bloggs. I am one of the lucky ones who are able to attend Yarndale, looking forward to my visit. I have completed my contribution to your triangle request. I have achieved this through following your blogg, I stumbled across you earlier so I am one of your e-learning converts and am pleased to say I have awarded myself the....."The Lucy crochet addict diploma" ....many thanks!!! Hope your little 3D sheep comes together.... Could little pentagon patches work for a head shape? Good luck with the show. So exciting! Thank you for all the time you are giving up to Yarndale to make it so wonderful for us all. I cannot wait! Just finishing up a blanket and then will back to the bunting triangles and send them your way :) (gosh, that looks like such a job! thank goodness for Little B's expert help). Wow Lucy, what a great thing to be part of. I so wish I could come, Australia is a little far, but you never know your luck. You should be so proud, follow your dream. What a fab little bird, look forward to the pattern....but what I would love to know is if you knitted that wonderful coloured vest in the picture...I love it! Hello Lovely Lucy...what a busy Bee you are! I'm trying my utmost to get to Yarndale, working on my sister to take me!!! She has no interest in anything at all yarny or woolly, so if we go it will be because she loves her little Sis! This is a Flickr badge showing public photos from Attic24. Make your own badge here. This is a Flickr badge showing public items from the Attic24 inspired group pool. Make your own badge here.